For the nationally celebrated Giving Tuesday event, Grand Valley State University raised $6,509 over its $20,000 goal with 313 people contributing. The Michigan Literacy Project (MLP) at Grand Valley State University looks to provide quality, educational literature to recent College of Education graduates teaching in K-5 classrooms in under-served Michigan public schools. The story of Thanksgiving is one of people from different backgrounds coming together to celebrate life. The Native American and the Puritans sat down together to celebrate peace and togetherness. Despite their differences, these two groups of people came together as one to have a meal. Grand Valley State University is continually awarded for its sustainable efforts. From environmentally friendly windows in the library to sustainability stations positioned around all on-campus cafeterias, the university seems to be making sustainability a priority. Now, it's time students value this practice as well. By simply attending a meeting, or going to a new event, you could gain a new perspective on a situation. As seen in the article "It's On Us: Lakers celebrate that National Week of Action", being an active bystander is something that Eyes Wide Open, the Title IX office and the Women’s Center are encouraging. The fifth myGVSU Campus Climate survey opens this Thursday at Grand Valley State University. Students, faculty and staff are asked to answer the short survey any time between Nov. 12 and Nov. 22. It seems like every year around this time, an editorial is written urging the Grand Valley State University population to get involved with the fundraising aspect of Battle of the Valleys, and here we are again. 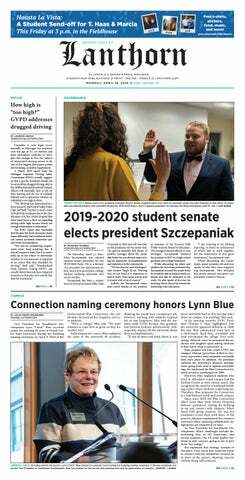 HEADLINE: SUBHEAD: Grand Valley State athletic history is littered with conference and national titles, All-Americans and win streaks that stretch across the country.